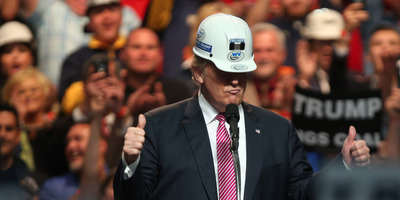 President Donald Trump announced Thursday that the US would impose new tariffs on imported steel and aluminium. The auto industry, which is already in at an “inflection point” for sales, has overwhelmingly said the tariffs will hurt business. President Trump’s new tariffs on imported steel and aluminium couldn’t come at a worse time for the US automotive industry. Auto sales in the US have already reached an inflection point after seven years of rocketing growth, and rising costs resulting from tariffs, higher interest rates, and any disruptions to global trade could all exacerbate any slowdown in the industry. In February, US new vehicle sales declined 2.4% from the previous month. That’s less than the expected 4% drop, but continues a trend that began in 2017 when sales peaked after a strong run. The US auto market has grown from 10 million units sold in 2009 to over 17 million in 2016. As car sales were taking off, steel production in China skyrocketed, creating a global glut that drove down prices worldwide. 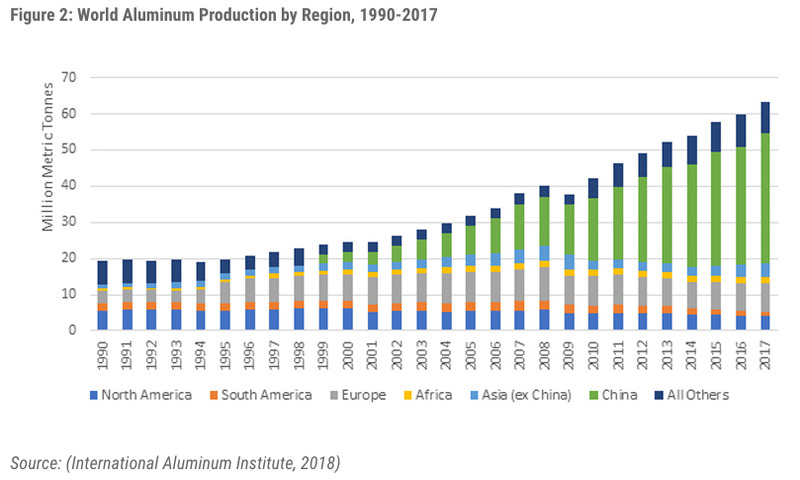 As this chart shows below, Chinese steel capacity (green) is barely a blip on the radar in 2000, but a majority of the world’s production by last year. 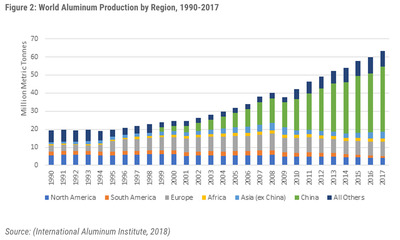 “There’s a problem with aluminium and steel production in the global economy largely because China has grown from being a very insignificant producer to supporting a huge growth in steel and aluminium production capacity,” Kristin Dziczek, head of the industry, labour and economics group at the non-profit Center for Automotive Research, said in an interview. If protections were to be placed on US production by the government, says Dziczek, prices will rise because manufacturers will be pushed to using domestic sources. Elsewhere, steel prices will stay low thanks to the economic principles of supply and demand. This is something US auto executives have already warned about. Other European carmakers echoed Armstrong’s sentiment in Geneva this week. “We all put our efforts into globalization in the past decades, and I think we shouldn’t give up that idea so easily,” Volkswagen CEO Matthias Mueller told Automotive News. More than half of the 804,000 cars produced in Germany last year were exported outside the country, according to the German auto industry association. To top it all off, rising interest rates as the Fed ends its quantitative easing program also have an outsize impact on the US auto industry. “A strong economy, with low unemployment, and now a tax cut are all pushing toward increased consumer confidence and spending,” said Kelly Blue Book’s Brauer.